The shinigami Rinne Rokudou, and Sakura Mamiya, the girl who can see ghosts, attend the same school. The two spend their days solving the worries of spirits. 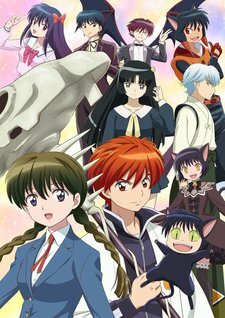 Rinne is so poor that he is forced to borrow money from Sakura to buy shinigami tools to solve their cases. Rinne and Sakura care for each other, but their relationship is not progressing. However, with the appearance of a new contracted black cat, a beautiful damashigami, and a person with whom Rinne shares a special circumstance, the situation becomes even more chaotic! Rinne and Sakura's after-school time wrapped up in the world of spirits continues!